I've just been transported to the dark and corrupt Dublin of the 19th century - a place that I had always imagined that I would enjoy sauntering though. 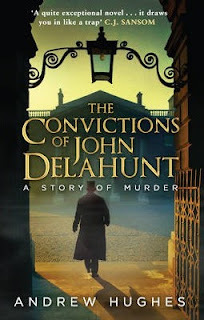 In his second book, 'The Convictions of John Delahunt', Andrew Hughes takes us from the elegance of Merrion Square, to the squalor of the Dublin tenements, along alleyways where horrendous acts of depravity and cruelty take place. Given that the titular character begins his narrative in a prison cell, things do not bode well for Mr Delahunt, but I honestly did not expect the world of this text to be so dark and grim. Neighbours turn on neighbours; one person's misfortune is another person's opportunity. Georgian Dublin is a heartless place, inhabited by back-stabbing cutthroats who would sell you as soon as look at you. I have no better opinion of humanity having read this book and I think that my view of Georgian Dublin has forever been changed for the worse. Yes there was poverty at the time. Yes there were unscrupulous individuals, but unlike an author, say like Dickens, who also deals with a grim and corrupt society, there is nothing to balance the brutality that Hughes describes. Where is Joe Gargery or Mr Micawber? Where in the humor, the redemption? 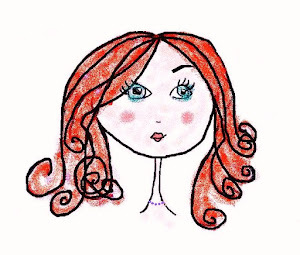 This leads me to consider, is it always necessary to depict that brighter side of life? Perhaps not. Andrew Hughes's book prefers to dwell in darker corners. This is a story about the criminal mind, its focus is on the mentality and social circumstance that creates a murderer. As such, this book is successful. The very strange thing is that most of the really disturbing events in this story are the very ones that are based on fact - they actually took place. The post-script is quite shocking and the most disturbing reading of all. Human life seemed to have mattered so little at the time. Every time I pass though Gardiner Street or Merrion Square I will be thinking of Delahunt and taking a backward glance over my shoulder.